New Hope for Children Orphanage: Abandoned by parents, tortured: now Kalyan needs to meet his hero! Abandoned by parents, tortured: now Kalyan needs to meet his hero! "I WAS TORTURED by my aunt before my uncle brought me to New Hope Orphanage. My parents abandoned me when I was only 3 years old. Today, I am blessed and happy at New Hope. I would like to become doctor. I pray for sponsor soon." 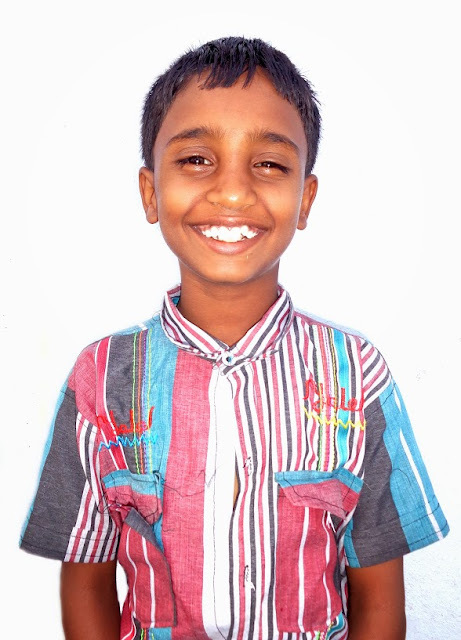 CLICK HERE TO SPONSOR KALYAN!